Cervantes was born on 29 September 1547 in Alcalá de Henares, Spain. 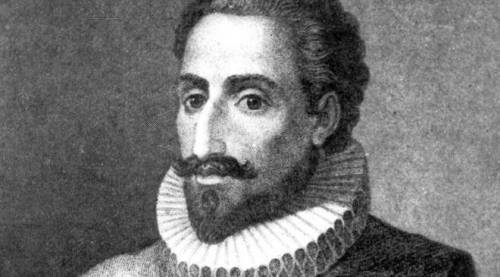 His full name is Miguel de Cervantes Saavedra. He passed away at the age of 68 years old on 22 April 1968. 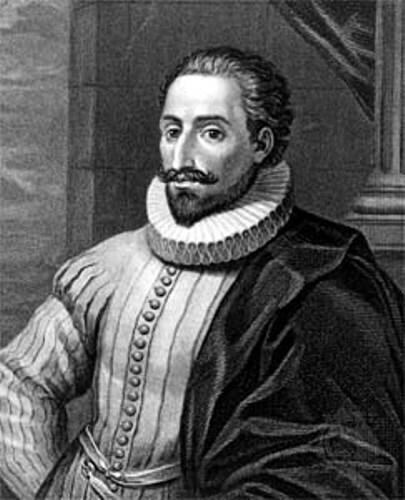 Cervantes was a Spanish playwright, poet and novelist. He was the writer of the famous Don Quixote. This work is called as the first modern European novel. 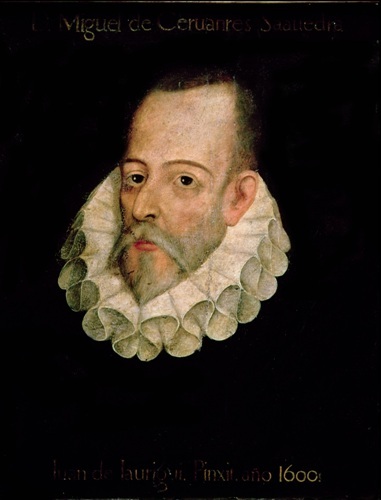 The language of Cervantes is an important term linked to Cervantes. He contributed a lot to the development of Spanish language. Therefore, it was called as the language of Cervantes or la lengua de Cervantes. People also called him The Prince of Wits or El Príncipe de los Ingenios. 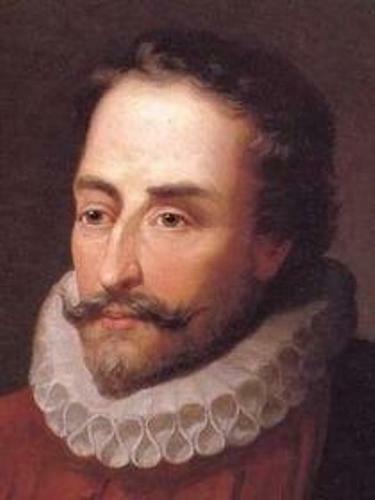 Cervantes worked as a chamber assistant of rich priests when he decided to move to Rome, Italy in 1569. Then he became a Spanish soldier. The Algerian corsairs captured him in 1575. He had to live in slavery for five years after he was released by paying ransom from the money of the Trinitarians and his parents. La Galatea was his pastoral novel that Cervantes wrote in 1585. Cervantes always faced difficult finance. He decided to work as a purveyor for Spain. Then he was appointed as a tax collector. The first part of Don Quixote earned him a success when he was in Valladolid in 1605. The novel was published in Madrid. It marked the comeback of Cervantes into the literary world. Cervantes decided to live his life in Madrid since 1607. He also died in the city. Besides Don Quixote, Cervantes also published other works such as the Journey to Parnassus (Viaje al Parnaso) in 1614, Novelas ejemplares (Exemplary Novels) in 1613, the second part of Don Quixote, and the Ocho comedias y ocho entremeses in 1615. Check another famous playwright in William Shakespeare facts. His father was a barber surgeon from Cordoba. His name was Rodrigo. You should not be surprised to know that a barber was allowed to do surgery such as performing bloodlettings and setting bones in the past. Miguel’s mother was Leonor de Cortinas. She was the third daughter of a nobleman who went bankrupt. In 1543, he had to sell his daughter into matrimony. Miguel had some siblings. They were Andres, Andrea, Luisa, Rodrigo, Magdalena and Juan. 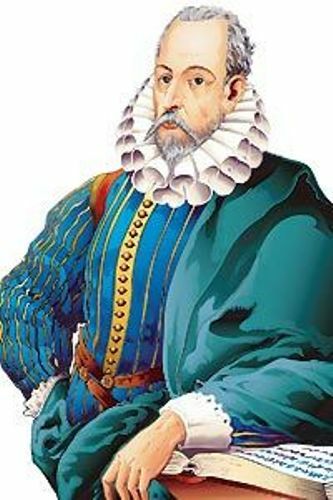 Are you fascinated with facts about Miguel de Cervantes?